In 1823, Stephen F. Austin received a grant from Mexico to colonize along the Brazos River. In 1824, Mexico changed to a republic form of government. The Constitution of 1824 failed to define rights of states within the republic including Texas. Over the next several years, Texas settlers grew dissatisfied with the policies of the government in Mexico City Mexico also began restricting immigration into Texas from the US. In 1832, a group of Texas settlers met to establish resolutions regarding tariff reforms, lifting immigration restrictions, school funding and formation of a separate state of Texas within the Mexican republic. Almost before the Mexican Republic had a chance to rejected the resolutions, Texans met again in 1833 to add a Texas Constitution, similar to the US Constitution, to be presented to the Mexican Republic. Fearing a rebellion from the Texans, the Mexican Republic attempted to disarm the settlers. 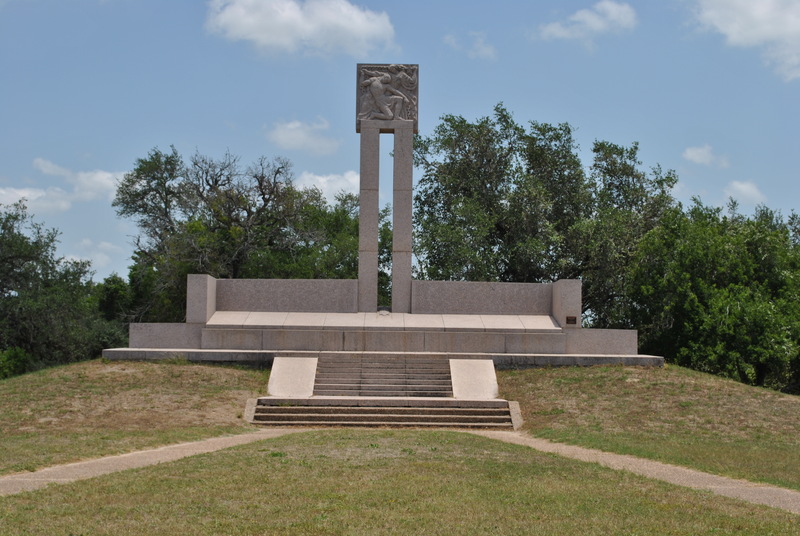 The talking stage developed into the shooting stage in October 1836 at the Battle of Gonzales. The Texans had held off the Mexican militia. By March 2, 1836, Texas declared independence from Mexico, approved a Declaration of Independence, and established an interim government for the newly created Republic of Texas. The Alamo as it sits today in San Antonio, Texas. 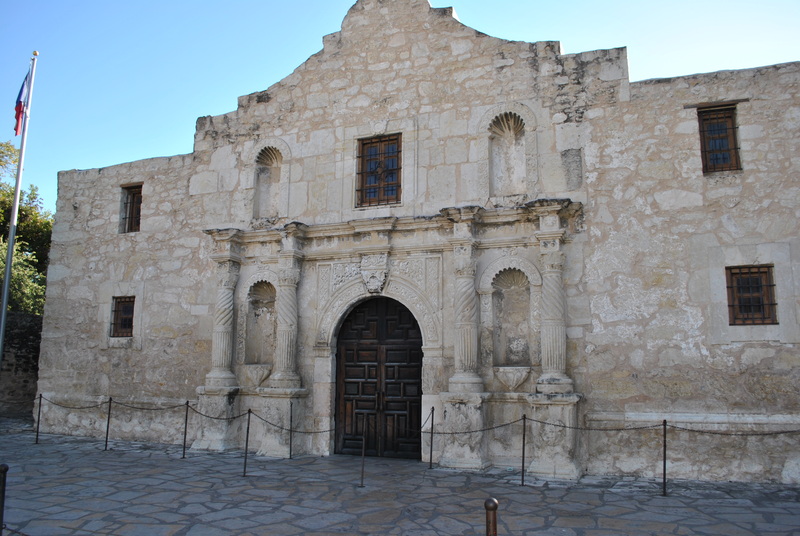 Four days later, Mexican President Santa Anna led a force of 2000 soldiers to the Alamo just outside of San Antonio. A small Texas force of less than 200 defenders held off Santa Anna for 13 days before Santa Anna overran the Alamo. Colonel Fannin and his men, who were brutally executed by Santa Anna, are buried here. At the end of March 1836, Santa Anna order a cowardly execution of 400 Texas prisoners who were being held in La Presidio in Goliad. The Texans were led away from La Presidio and given the impression they were being released. At selected spots on each of the three roads, from half to three-fourths of a mile from the presidio, the three groups were halted. The guard on the right of the column of prisoners then countermarched and formed with the guard on the left. At a prearranged moment, or upon a given signal, the guards fired upon the prisoners at a range too close to miss. Nearly all were killed at the first fire. Those not killed were pursued and slaughtered by gunfire, bayonet, or lance. Fannin and some forty (Peña estimated eighty or ninety) wounded Texans unable to march were put to death within the presidio under the direction of Capt. Carolino Huerta of the Tres Villas battalion. This led to a general retreat of the Texas forces to San Jacinto. On April 21, 1836, the small band Texans (about 750 militia) resoundingly defeated Santa Anna and his army of 1500 soldiers. That battle took 18 minutes. 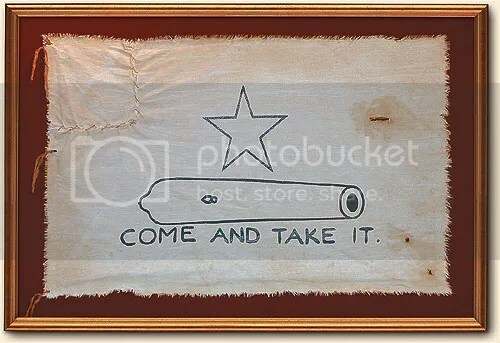 As the Texan militia charged Santa Anna’s men, the battle cries, “Remember the Alamo” and “Remember Goliad” could be heard from the charging Texans. Santa Anna attempted to retreat but his escape route was cut off before the battle began. On April 21, 1836 General Santa Anna surrendered to General Sam Houston. The Texans had prevailed. From 1836 to 1945, Texas remained an independent state. Texas officially became a State within the United States on December 29, 1845. Of all the states in the US, Texas is the only state that was an independent nation (1836-1845). Texas is the only state to enter the United States by treaty instead of territorial annexation. And that is why I proudly fly my Texas flag along with the US Flag every day. 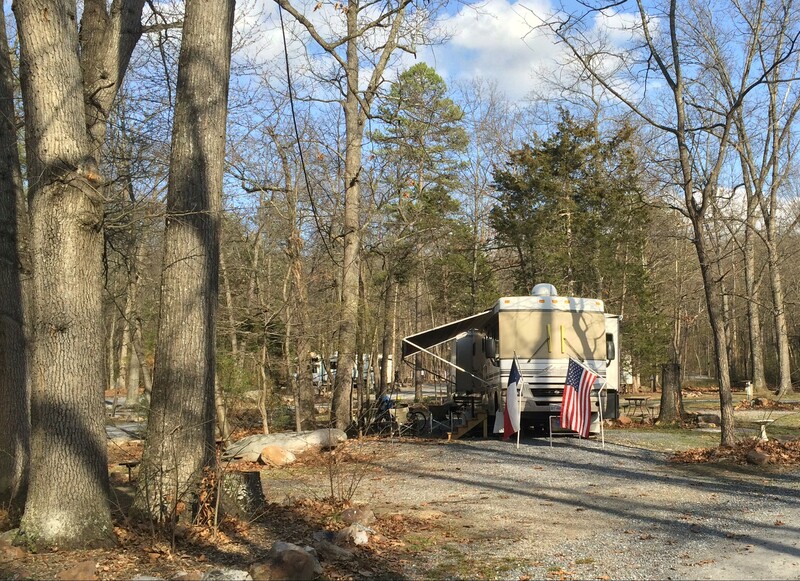 This entry was posted in Texas and tagged Alamo, Goliad, Gonzales, San Jacinto. Bookmark the permalink. Glad y’all came for a visit. We loved our stay in Goliad…. such interesting history. Thank you. We stayed at Goliad State Park a couple of times. It makes me angry to think what happened to the Texans who wanted to be treated with respect. When that did not happen, the rag tag gang from Texas defeated the “big army” from Mexico. I find it interesting that it took the U.S. Almost 10 years to embrace Texas partly because the U.S. Feared retaliation from Mexico. I love coming to your blog every evening, Jerry. I always learn somethiing new, and oftentimes my faith is buoyed up. God bless!